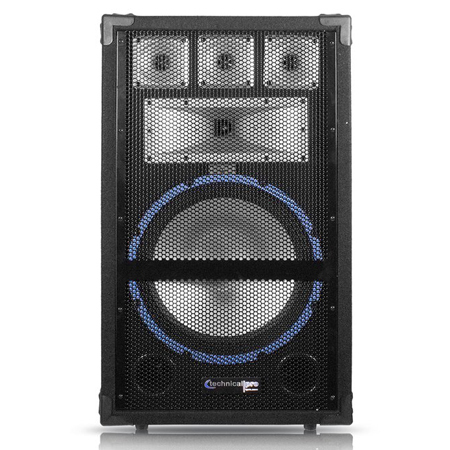 The sound output of this speaker is designed to give a professional blend of lows, mids and highs. 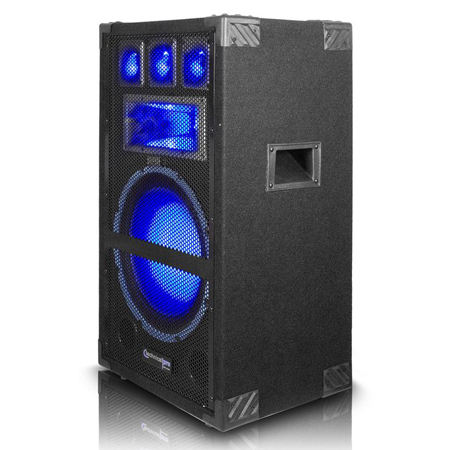 The dual woofer design will give you the explosive low end that you want for your club sound! Two woofers = HUGE SOUND! This combination will give you the booming club lows, solid mid range and sparkling highs that you expect from a professional speaker. With a larger woofer, comes bigger sound! To compensate for the massive low end thump, Technical Pro added four tweeters to balance out the high end. You will never need to worry about an unbalance output! 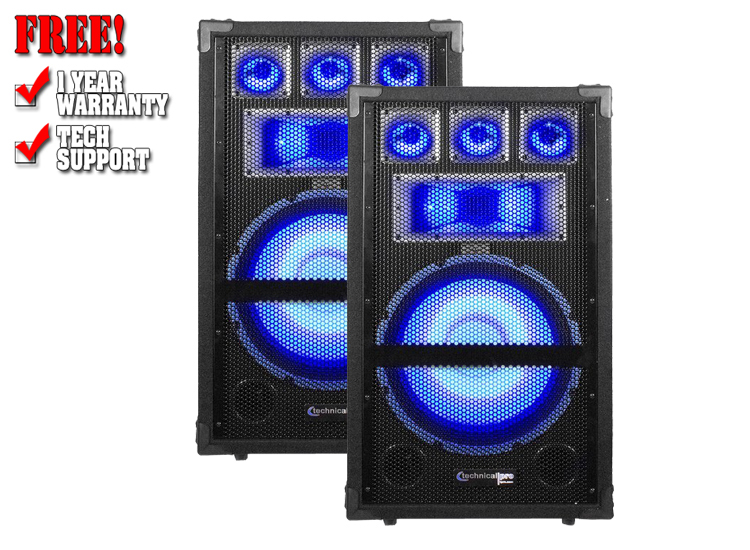 If you are setting up a large club, large live stage or are designing sound for a large venue, adding these to your set up is a must do! The inputs are 1/4" and banana binding post. Connect any standard amplifier and you are ready to rock! 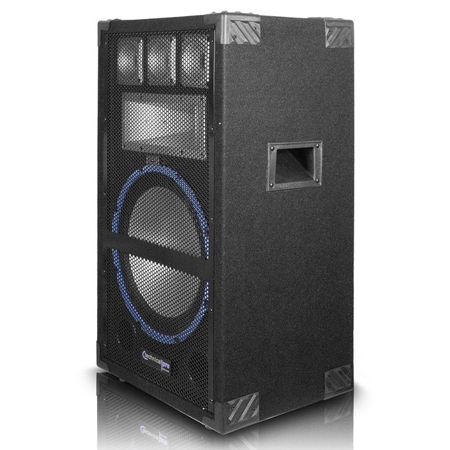 The VRTX series from Technical Pro is the perfect combination of loudspeakers for all of your big room needs. The VRTX is constructed with Technical Pro's built-to-last technology. The sturdy design will keep your speaker components safe and sound in the most rugged environments. Built in are two carrying handles that will make moving and positioning this speaker a piece of cake. 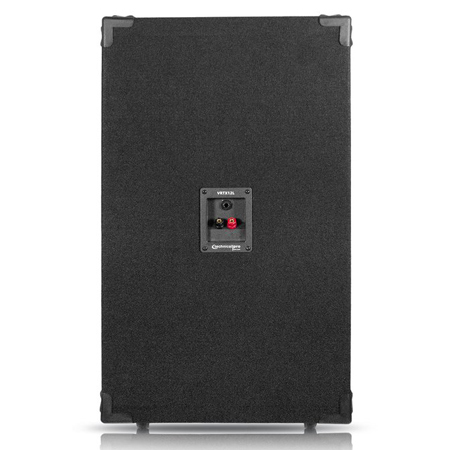 The front panel is a full length perforated steel cage that will allow your sonic boom out and yet still keep everything safe inside. The forward thinking design also includes reinforced corners for additional protection. If are concerned about the durability of your speaker and insist on a design that will not fail the VRTX is the number one choice! The heart of the VRTX series lies in its unique combination of premium construction quality along with features and performance technology previously unheard of at this price level, offering a range of options without equal. With improved performance and great looks, they deliver punchy mids and smooth highs at any level, with a bone crushing low-end. The quality wood cabinetry construction is carpet-covered and has an extra heavy-duty metal grille for ruggedness. Connect this speaker to any standard amplifier and you're ready to rock!